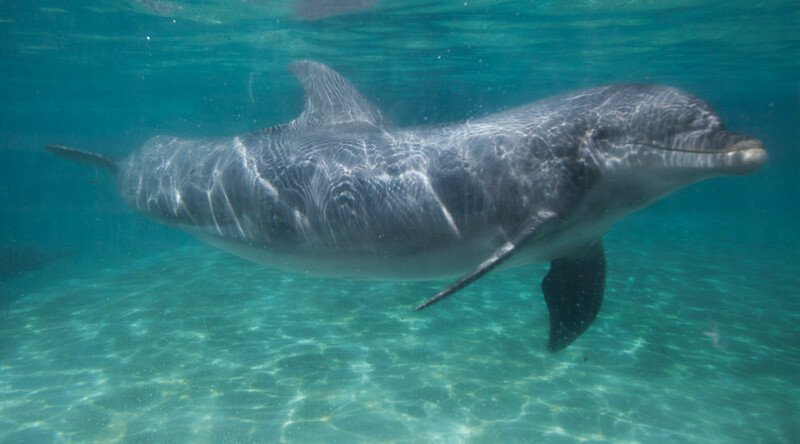 Hamas has apparently managed to capture an Israeli “spy dolphin” near the coast of the Gaza Strip. Israeli and Palestinian media say the “spy” was equipped with recording devices and even an arrow-firing weapon. The mammal was reportedly captured several weeks ago by Al-Qassam “frogmen” commandos, Israel’s Army Radio reported Wednesday quoting the Palestinian Islamist organization. The dolphin is said to have been equipped with “spying accessories” including cameras. The dolphin was dispatched by Israel to collect video intelligence of the commandos unit's training, sources in the West Bank also told Ynet News. Hamas spotted the dolphin due to its "suspicious movements," Nedae Al-Watan said. The Palestinian news outlet maintains that the mammal was also equipped with a device that could fire arrows, potentially injuring or killing humans. The Times of Israel remarks that while the country’s Navy maintains a fleet of Dolphin class submarines, the Army Radio’s report made it clear that Hamas was talking about a mammal, not a boat. The official website of Hamas, however, does not provide any information about the incident. Israel has been repeatedly accused of using animals for military purposes. Thus, Turkey claimed twice that birds tagged with Israeli university tracking devices were used for espionage. In 2012, Sudan brought forth a similar accusation. In 2010, the governor of South Sinai, Egypt, alleged that sharks that attacked tourists in Egyptian resorts might have been trained by the Mossad. Using dolphins for military purposes is not something unprecedented. The USSR launched combat training of sea mammals at the Crimean peninsula in the 1960s. The program was restarted in 2012 by the Ukrainian army and the dolphins were transferred to Russian control after Crimea joined Russia in 2014. The Soviet Navy used dolphins and seals to patrol the area, rescue lost naval swimmers or locate underwater mines. Some of the animals were even capable to seek and destroy missions against enemy submarines, using kamikaze methods.